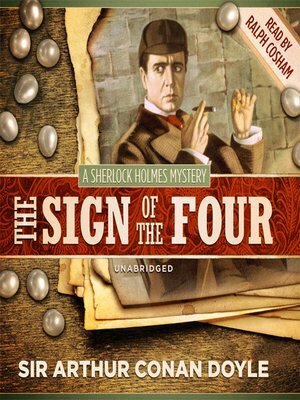 In this second Sherlock Holmes novel, the indomitable sleuth is visited by a woman in distress. Each year on the anniversary of her father's mysterious disappearance ten years ago, Miss Mary Morstan has been receiving pearls, she knows not why or from whom. This time, her anonymous benefactor wants to meet. In the letter, he promised to reveal the mystery and to "right the wrongs" against her. "If you distrust me," he wrote, "bring two friends." She brings Holmes and Watson. The ensuing investigation turns up a wronged woman, a stolen hoard of Indian treasure, a wooden-legged ruffian, a helpful dog, and a love affair.